I want to introduce everyone to my friend Zander Fryer, he’s a coach, author, and speaker who followed his dreams and found massive success. About a year and a half ago you’re at a Jack Canfield seminar. Tell us how you got there and what you stood up and said. About a year and a half ago, July 31st, 2016 I actually quit my full-time job in the IT space, I was a systems architect for Cisco Systems. I quit my job because I knew that there was something more for me to do. About three days later I ended up at a Jack Canfield seminar, a Jack Canfield conference. For those who don’t know who Jack Canfield is, he’s the author of Chicken Soup for the Soul, so he’s sold half a billion books or something like that, he’s had a few of them and he’s commonly known as America’s number one success coach. I’d done a lot of self-development growing up and I was a big fan of his books, they had some of the biggest impacts on my personal growth. I didn’t actually know that he had workshops and seminars, but as soon as I quit my job I actually just found a number for him online and just called him up. I basically called him up, I said, “Hey, my name’s Zander Fryer, I just quit my job and I would love to come hang out.” That’s basically how the conversation went. After about 30 minutes of telling my story and what I wanted to do. How did you get to him? I didn’t get to him. I wasn’t on the phone with him, I was on the phone with his director of operations for about 30 minutes, and she was the one that basically was like we got to get this kid out to Arizona, meet the team and go through the workshop and everything like that. That’s how I actually got out there. What sold her on this idea of you coming to the workshop? Probably the fact that I just had quit my job … I was 100% committed. I had the cojones to just call up Jack Canfield’s office and say, “Hey, I want to come hang out.” There’s not a lot of people like that. Within 24 hours I was on a plane and flying out to Arizona. When I was at the Jack Canfield conference one of the things they do in that conference is really work on getting clarity around your vision, your big vision, your goals and everything that you want to accomplish in the future. My big, audacious goal was that I wanted to bring in six figures a month as a coach and as a mentor. I wanted to be helping inspire and empower other individuals to live their true purpose and live their highest vision of their lives. I stood up in a room of something like 500 or 600 people and I told that to everybody. 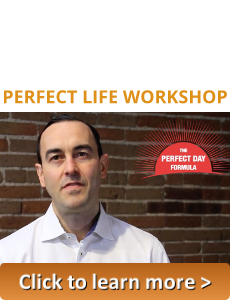 I said, “One year from today I’m going to be back at this event, except I’m going to be on stage telling you guys about how I just had my first six-figure month as a coach.” That was my commitment. What prompted you to go to the microphone and say that? I felt that I needed to hold myself accountable for this dream, and I felt that by announcing it to the world, I would be more likely to do what it took to make it happen. If you hold yourself publicly accountable for what your future self wants, then other people can hold you accountable, you’re more likely to hold yourself accountable. Tell the Facebook Live public accountability story because this is a great one. In 2017 one of the major goals that I actually wanted was just to meet a great girl. I’ve been single for a while, I’ve done a lot of personal growth, and I’ve really gotten to the point where I’ve been pursuing my purpose and my mission wholeheartedly, and the one thing that’s been missing in my life is just having someone to enjoy this rollercoaster with me. Was she a member of the coaching group? She was a member of the coaching group, and it was because of that Facebook Live that she actually reached out to me and just wanted to get to know each other and just connect. We actually met for the first time right before New Years. Did you also get solicitations from people? I got so many solicitations it’s not even funny. I probably had four or five people in the group basically solicited their daughters. You know, I stood up in the middle of that room in 2016, August 2016, and my proclamation was I would be back that next year, so August 2017, beginning of August 2017 letting everybody know that I had just had a six-figure month in July of 2017, my first six-figure month in my coaching business. When I announced that honestly, I got up and I said that, and I’m pretty sure even Jack was like all right, cool I guess, I don’t know about that. Did it blow Jack’s mind? Absolutely. He’d been kind of helping me out throughout the process, but I don’t think he realized how far I’d come until I actually stood up on that stage and announced it to everybody. It was pretty powerful to be there with him. What advice would give to somebody’s who’s trying to figure out if they can do this? I’m 29 years old right now. When I was in college, growing up I was really good at math and science so the whole question what are going to do with your life was pretty obvious, I was going to be an engineer. I went to UCLA for engineering, but I had to pay for my college so to do that I actually joined Air Force ROTC. That’s kind of when I really started to fall in love with mentorship and coaching because I was leading my detachment. I took my electrical engineering degree, I joined Cisco Systems. Great job, great company, and I ended up working there for about six years, took all this energy into that role and was, by all external means, very, very successful. As a kid in his mid-20s making multiple six figures, I was working with companies like Facebook, LinkedIn, NBC, Disney, Verizon, Direct TV, and I had standing meetings with the CIO of Disney. I was very successful there and it wasn’t like I was in a dead end job. With every raise that I got, with every promotion that I got, it was this quick sharp peak of excitement and then it was followed by a dull hunger for more. In hindsight, how did some of the things that you coach people on now, help you make that transition when maybe you didn’t know you were using them? What most people don’t realize is there’s plenty of systems and plenty of strategies to be successful. So many people just don’t believe that it’s actually possible, so I had to believe that it was. I had to take full ownership of my life and stop blaming others for my situations or complaining about like oh this would be easier if X, Y, Z if I had more money then I’d be financially free and this and that. I just had to take ownership of my life. I had to believe that it was actually possible, and then I had to focus on learning the skills that I needed to learn to get where I wanted to go. These are all things that I teach all of my clients now because for most of them the strategies are out there, the business strategies are out there, that’s the benefit of the interwebs. Where do they struggle with most? Self-confidence is probably one of the most important skillsets to being successful. How’s a way that they can build that? Sometimes we forget to just brag about ourselves because growing up that’s been beaten out of us. Then what about in terms of ownership? Where do people struggle with that and how do you help them fix that? This is probably, in my opinion, the biggest problem with most of our world is it’s easy to blame others and complain about situations. It’s really, really hard to take full ownership of something. Most people would rather blame others, they want to blame their boss, they want to blame their significant other, they want to blame other people around them, or just complain because complaining is easy. It’ll make you feel a little bit better in the moment, but it doesn’t solve the problem long-term. When people just say, “You know what, 100% of everything in my life is within my control.” That’s hard for a lot of people because you’d say my mom got cancer or something like that, there’s a lot of things that you’d say aren’t necessarily in your control. How do you get people over that hump and hurdle because it’s going to take some energy and work? You either have a fixed mindset or a growth mindset. When I learned this, it absolutely changed my life because I realized that growing up I actually lived in a growth mindset. Got it, and so if somebody comes to you and they’re struggling with this concept, how do you get them to see it your way? I work on finding their big why because they really need to have a why. When I talk about learning, most of the people that I work with, the first thing that we have to do is find something that’s more aligned with them, something that’s really aligned with their purpose, their passion, and their mission in life. Tell us about some of the things that you learned when you were younger. Yes, I think it’s literally I approached everything with a very curious mind. I tell people my goal is to just go back and be my four or five-year-old self again. That curious, playful kid that wasn’t afraid of sliding down the slide head first and whatever came from it. I approached a lot of things with just a very curious nature. When I was growing up I ended up becoming very good at math because I want to become intelligent, but because of that when I got to middle school and to high school I was actually the small nerdy kid. Then it was all about I want to learn to be more sociable, I want to learn to be more friendly, but I knew that I could, it was just a matter of learning, it was just a matter of figuring it out. To be honest, you mess up a lot, you fail a lot, people make fun of you, maybe get stuffed in a locker, but you learn. Then when you went to the ROTC what did you learn there that you still use today? Oh man, probably everything that I learned about being a leader. I started learning in Air Force ROTC, and probably the biggest theme that runs through my life is remembering that it’s not about me. When I was going through ROTC and I was learning how to be a leader and really realizing that I loved helping other people accomplish what they wanted to accomplish, that’s what brought me happiness and fulfillment. This idea that it was never about me was probably what helped me overcome a lot of my fears when I was first starting off. When you’re really a leader it’s not about you, it’s never about you, it’s about the people that you’re leading, it’s about the people that you’re helping accomplish the things that they want to accomplish. Talk about a couple of great success stories or even just one that really stands out to you. If I brought up some of the brands that she’s been associated with you guys would all know it, but she had her own massive limiting beliefs preventing her from moving forward into that next adventure. These are universal. Every single person has one of these beliefs in my opinion. It’s the universal limiting belief of I’m not worthy. It doesn’t matter how successful you get. When we kind of helped her move through some of these limiting beliefs and we worked with her around proper sales and everything like that. She actually launched her first personal product. With that, she ended up in her first month with $195,000. It was her ability to feel those fears, feel those limiting beliefs and not let them hold her back. 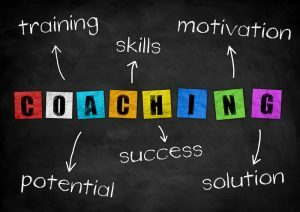 How do you actually get coaching clients anyways? Walk us through your sales process here. You should never feel sales-y about what you’re doing. You should be able to command the true value of what you’re doing. That’s a big mindset shift for a lot of people. The first thing that I would tell everybody is when it comes to sales never think of yourself as a salesperson, start to put yourself with the intention of being a trusted advisor of whoever you’re working with. You’re not doing this to sell anybody anything, you’re doing this to learn about that person, figure out what their problem is, and solve a big problem. So the person that comes to you and is just so fearful of selling, how do you fix them? Oh man, so it depends because we’d really have to figure out why they’re fearful of selling. You and I have had this conversation a lot before, but our subconscious mind is about 95% to 98% of our brain. That’s something that most people don’t realize. That’s one of the things that we do with every single one of our clients is we actually have to go back and do a lot of reprogramming around the fears and beliefs they’ve created. Tell me about your toughest point dealing with imposter syndrome and depression. Yes absolutely, so for me working through that time, I just allowed myself to feel all the really, really hard feelings. To understand that I had these thoughts and I had these feelings but I wasn’t them. I would have these very negative emotions and these very negative thoughts, but I would allow myself to feel them and I would learn whatever lessons I could, this was that growth mindset. 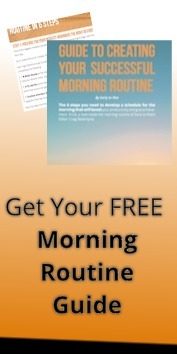 How do you use morning routines and evening routines to help you get through that stuff and what do yours look like? I would honestly say my morning routine and evening routine is the reason I made it through that. 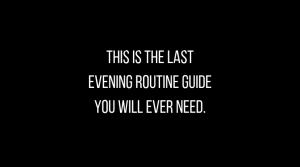 Everybody talks about their morning routine but morning routines and evening routines are just very tightly coupled together. It’s what I call bookends: you need the bookends on the ends of your day so that everything in the middle can function properly. For mine specifically, everything starts the night before. I review my entire day, all the new to-dos that come in, and all the new tasks that have come in. I make a lot of game time decisions on if 10 things have come in, I will decide very quickly on yes or no I’m going to do these things and I say no to a lot of things. Saying no to a lot more stuff has been really powerful for me. I make game-time decisions on everything that’s come through, decide whether or not I’m going to do it, the ones that I say yes I put them on the calendar. Then I decide basically one thing that I want to do the next day, that if I did just that one thing that day the day would be a success. It’s that one thing that just by doing that everything else becomes easier or unnecessary. I can do that first thing in the morning. Then I basically work through a lot of gratitude work, a lot of kind of what we talked about my brag book, everything there before just doing some devotional reading and going to bed. How much time are you looking at for that? Devotional reading depending on how much I want to do: I would say probably 15 to 20 minutes. It’s not long, but it’s what allows me to make my morning stupid proof. I’ve already got whatever content I want to write that next morning outlined, I’ve got that one thing that I want to do it’s put on a Post-It note and put on my desk, so that first thing when I wake up that next morning I don’t have to think about anything because you’re in a sleepy, drunken stupor. Did you have those before you quit Cisco? I didn’t have those before I quit. I actually built those into my process as I was quitting because I knew that they would be so essential. There were some things that I had in the routine already, but specifically journaling. I never journaled until I quit Cisco. What are one or two books for people that you have used to change your life or that you recommend? The first would be an Autobiography of a Yogi from Paramahansa Yogananda. It’s a little odd but it’s phenomenal. I was actually recommended that book from a friend and then I found out that Steve Jobs actually gave it to everybody at his funeral, so it was in his will that everybody got that book. Another one that I really loved recently was David Deida’s Way of the Superior Man. That was a really, really good one for me recently as well. I think both of those two books are kind of a little bit more off the beaten path, but I mean there’s always Jack Canfield Success Principles, John Maxwell’s Irrefutable 21 Laws of Leadership I think, so those are two of my go to. I will re-read those ones all the time, but I think David Deida Way of a Superior Man, and then Paramahansa Yogananda Autobiography of Yogi are two off branded ones. You’re 29 years old, what advice would you give to young people? 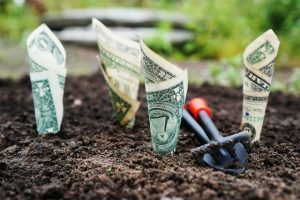 My advice to everybody is to find purpose and passion first, and using the growth mindset, understand that you can learn how to monetize pretty much anything. Beautiful, beautiful, all right so Mr. Zander Fryer, tell us where people can find you on the interwebs and you have a great social media following, and so just tell us what to go and learn from you online. Yes absolutely, so you can follow me on Instagram, Facebook, Twitter at @zanderfryer. 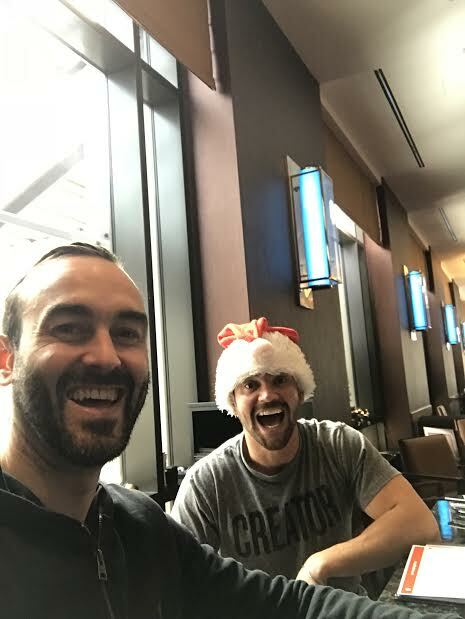 Then for anybody that’s looking to turn their knowledge, expertise, or passion into a six-figure business in a couple short months, you can check out our most recent training here. We’ve got a free masterclass on there to help everybody learn the skills that are necessary to actually get something up and running in a very short amount of time. 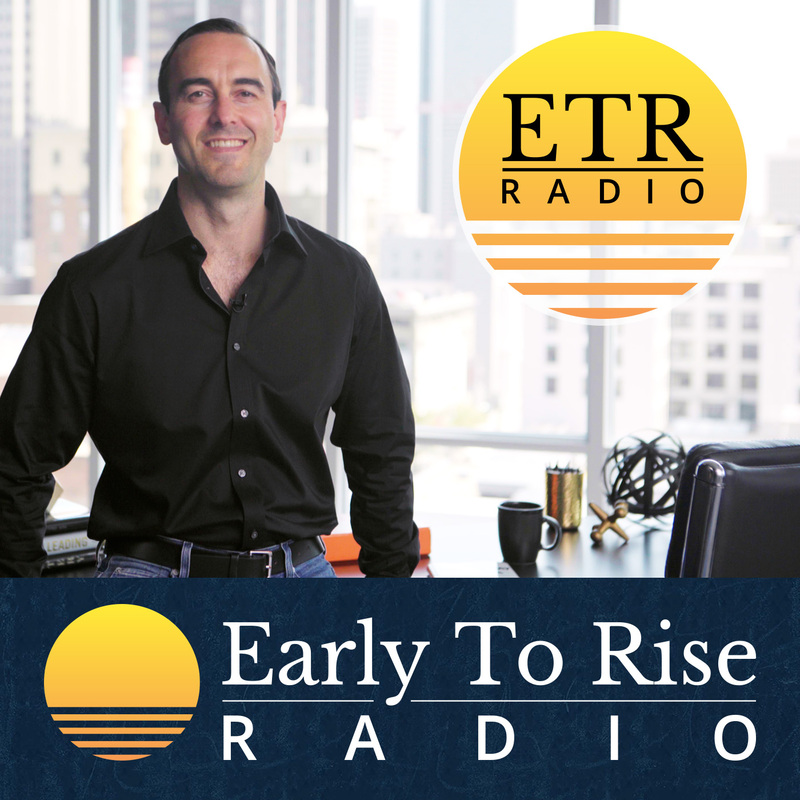 That was probably the longest we’ve gone in an interview here on Early to Rise Radio, but dang it, there was just so much for him to teach, powerful episode, and it was a lot of fun. What would you do if you could not fail? Remember that question that Zander was asked? I want you to ask yourself that right now. What would you do if you could not fail? Keep me posted and email me at support@earlytorise.com or send me a message on Instagram @realcraigballentyne, or on Twitter @craigballentyne.